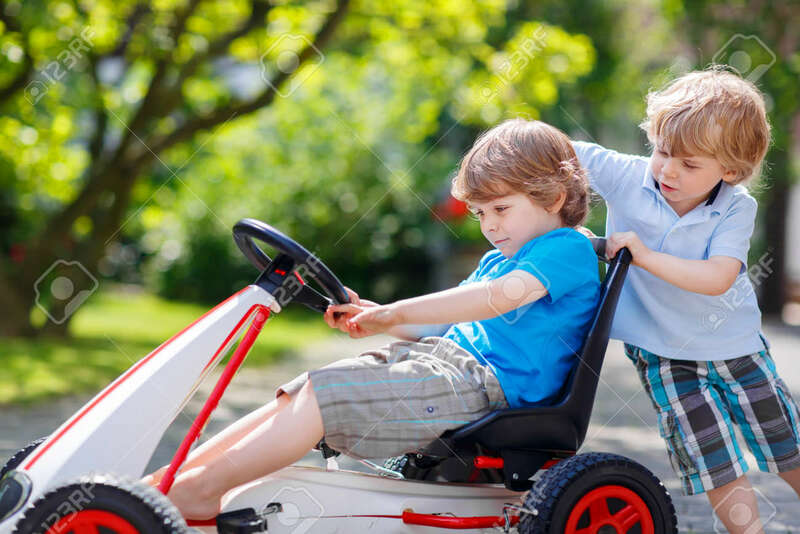 Two Funny Twins Boys Having Fun With Toy Race Car In Summer Garden, Outdoors. Adorable Brother Pushing The Car With Another Child. Outdoor Games For Children In Summer Concept. Royalty Free Fotografie A Reklamní Fotografie. Image 35317164. Reklamní fotografie - Two funny twins boys having fun with toy race car in summer garden, outdoors. Adorable brother pushing the car with another child. Outdoor games for children in summer concept. Two funny twins boys having fun with toy race car in summer garden, outdoors. Adorable brother pushing the car with another child. Outdoor games for children in summer concept.